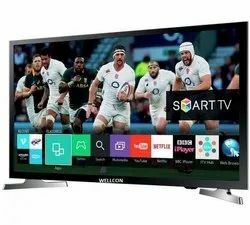 Our range of products include 32" smart 4k ready led tv and 40" smart 4k ready led tv. Play store. Enjoy with above all application without interruption. In Hotstar – 24+ Live new channel available along with old missing all kind of serial and moive other program available, so you enjoy it if any missing or not available on the that time. Tom Goggle:Lot of kid kid program available. Imirror: its also new features for iPhone, iPad and other product of ios available. You can enjoy to connect it to your tv see our all video, music, sms, whatsapp, everything of your mobile to your tv. Miracast : its is for android and other product of android available. You can enjoy to connect it to your tv see our all video, music, sms, whatsapp, everything of your mobile to your tv. Eshare : You also connect your to this app. Its amazing products with so many features Fast processor with good storage Many popular application is installed like prime video, Netflix, Youtube, Hotstar, Tom goggle, Daily motion, Imirror, Miracas, Eshare, osd having 79 language around world Play store. Enjoy with above all application without interruption. In Hotstar – 24+ Live new channel available along with old missing all kind of serial and moive other program available, so you enjoy it if any missing or not available on the that time. 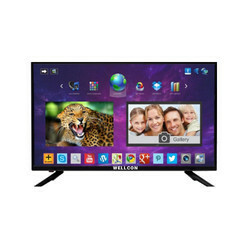 Miracast : : its is for android and other product of android available. You can enjoy to connect it to your tv see our all video, music, sms, whatsapp, everything of your mobile to your tv.